Thanksgiving, Black Friday, and Squanto! It’s Black Friday! Did you enjoy your Thanksgiving turkey and stuffing, or special feast, along with all the fixin’s? Were you able to spend quality time with loved ones? Or are you joining millions of others in the quest for the holy grail of Christmas gifts by taking advantage of Black Friday sales? I love turkey, especially leftovers. In order to get plenty I can use in the weeks to come, I usually buy a 20 lb. turkey so that I can make sandwiches and have plenty of meat left for Turkey Pot Pie or Turkey soup. (The freezer is my best friend, especially when I’m on deadline.) Huzzah!!! No matter how you celebrated Thanksgiving this year, I wanted to share an article I wrote titled Squanto for my Hidden Truth, Historical Treasure feature in the Heart of Dixie’s Heart Monitor. The very first immigrants to America would never have survived their first winter in America without the help of one man, Squanto. Thank goodness, he came along when he did! “One hundred and two English colonists first landed in Plymouth, Massachusetts, in 1620. Newly separated from the Church of England, these brave men and women, known today as ‘puritans’, had previously fled to Holland where they lived in the Dutch settlement of Leiden before sailing to the new world. Financed independently of the Plymouth Company, they could not know their lives would drastically change when they reached what is now Providence Harbor and formed an acquaintance with an Indian who surprisingly spoke English. Through the Plymouth Company, which dispatched Captains George Weymouth, Sir Ferdinando Gorges and John Smith on explorations off the coasts of Penobscot, Maine and Massachusetts, a man named Tisquantum, also known as Squanto, had been groomed for such a feat. His fascinating life journey had placed him in the Pilgrim’s path precisely when they needed him most. Thanksgiving and Black Friday mark the beginning of the holiday season, a time packed with seasonal fun and celebrations galore. A perfect remedy to the negativity we’ve faced the past few weeks. What is the one December tradition sure to make you happy? Today is a day set aside to honor the men and women who’ve answered the call to protect and defend America from enemies foreign and domestic. Huzzah and Hoorah! Veterans Day is a special day for me and I’m passionate about it. I get to celebrate America’s heroes publicly (like I do personally every day of my life with the men in my family who’ve served our country as far back as any of us can remember). As the grand niece of Navy, Coast Guard, and Army men, the granddaughter of a Texas farmer who joined the Navy one month after Pearl Harbor was bombed (my father was born twelve days after Pearl Harbor), as the daughter of an Army Sergeant First Class, the wife of a West Point graduate and retired Lieutenant Colonel, the DIL of an Army Sergeant, the Aunt of a Texas National Guard Sergeant, and the mother of two sons, an Air Force Master Sergeant and an Army Sergeant, my heart is full of respect and gratitude for the selfless sacrifices made for Americans every day. Sacrifices that often took/take my loved ones far into the heartland of hate and violence, when I’d give anything to have them by my side. This is the life I’ve lived. What books led you to historical romance? Who ARR your favorite authors? Share your photo/selfie with your favorite book today via twitter, facebook, tumblr, instagram. Let’s get the world talking about historical romance, eh? Join authors and readers all over the world in an epic celebration of historical romance. 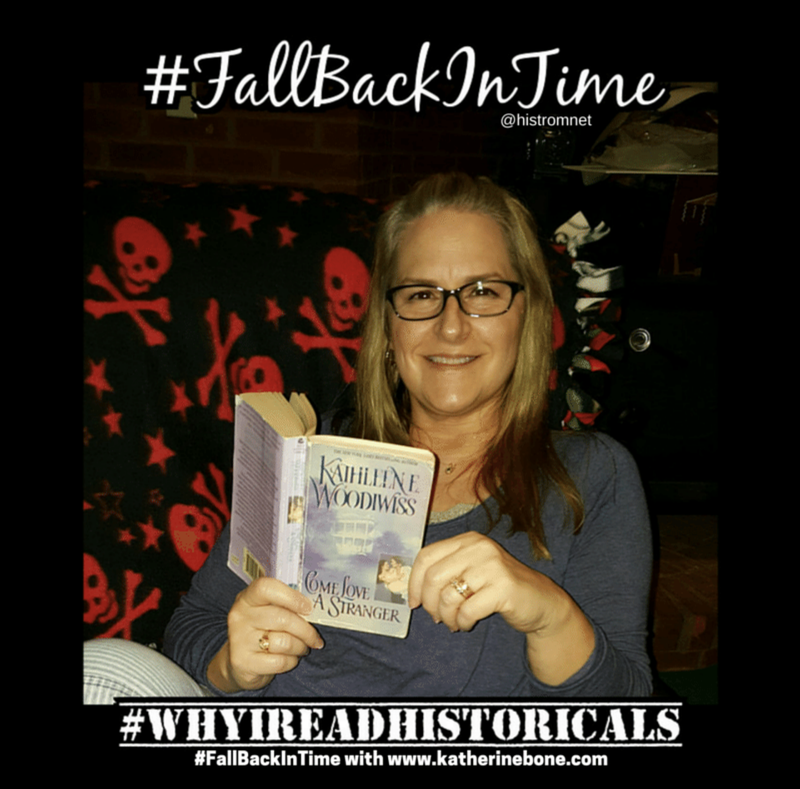 You can find us by following the hashtag #FallBackInTime or #WhyIReadHistoricals or #WhyIWriteHistoricals.You can also share in the fun by following via Twitter (@HistRomNet) and on Facebook at the Historical Romance Network. Release Day! The Rogue’s Prize Available Now! Let’s Partay!!! Shoutin’ from the top of the mizzen, me hearties! Sails on the horizon! 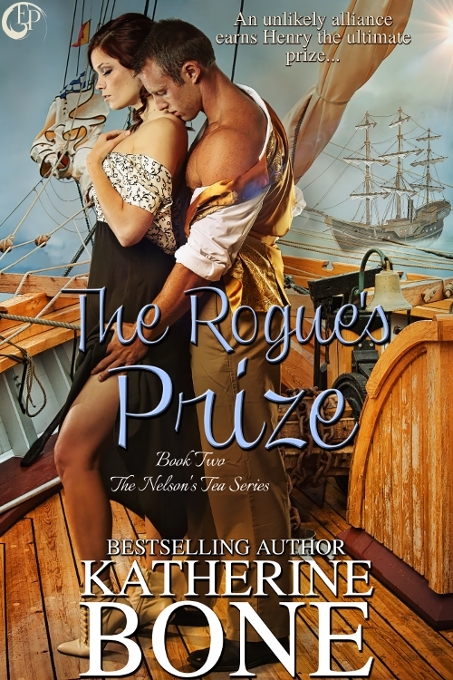 It’s Release Day for THE ROGUE’S PRIZE! Huzzah and Hoorah!!! Can you tell I’m totally jazzed? Only slightly? Od’s Blood, but I need to put a bit more muscle into this. LOL! 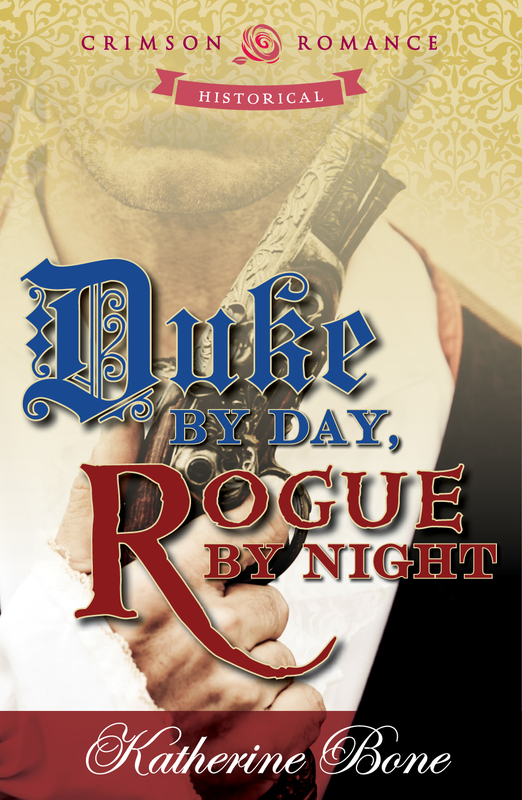 Duke by Day, Rogue by Night is a Kindle Daily Deal! I’m also at Paperbacks ‘n Papercuts today talking about the entire series and dishing up ondits about the prequel novella I’m writing as well as the third book in the series. If you want to see who has inspired the books, I’ve posted pictures on my Facebook page for you. It’s always nice to get an idea what the characters look like in an author’s head, isn’t it? So head on over to check out my interview today where one of my books is on tap for a giveaway! Comment for a chance to win, me hearties!!! You can follow all my shenanigans on my Twitter feed too! I’ll be sharing pirate jokes and quotes all throughout the day!!! Most of all, thank you dear friends and readers for following me on this publishing journey. Books are nothing without readers. Oh, they may sit in bookshelves collecting dust, but they don’t come alive until a reader opens the pages. Help me celebrate books today. Join me in the fun, won’t you? Do you have a favorite pirate joke you’d like to share? Ready For Some Wet Money? Pour 1.5 oz. white rum, 3/4 oz. orgeat (almond) syrup, 1/2 oz. green chartreuse liqueur and 1/2 oz. fresh lime juice into a cocktail shaker filled with 2/3 full of crushed ice. Shake well: strain over ice into a tumbler glass. Garnish with lime peel. 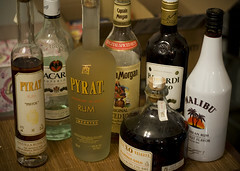 Tomorrow, I’ll share another pirate drink for your pleasure!